John Mayo, Professor of Economics, Business and Public Policy, McDonough School of Business: “New Debates & Tensions in Antitrust: What Does the Future Hold?" In recent years, and especially within the last few months, a “perfect storm” of developments is producing new tensions and new debates in the field of antitrust that to date have failed to produce anything approaching a consensus about the best path forward for this crucial policy sector. To provide some background and framing, Prof. Mayo will discuss and field questions on salient antitrust policy issues that will be front-and-center as we head into 2019 and beyond. 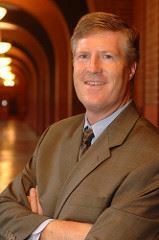 John Mayo is Professor of Economics, Business and Public Policy in Georgetown University’s McDonough School of Business. He also serves as the Executive Director for the Georgetown Center for Business and Public Policy, which he founded in 2002. His research interests lie in the areas of industrial organization, regulation and antitrust, and, more generally, the applicat ion of microeconomics to public policy. He has published roughly 70 articles in economics, law and public policy journals including the RAND Journal of Economics, the Journal of Law and Economics, the Yale Journal on Regulation, the Review of Economics and Statistics, the Journal of Industrial Economics, and the Journal of Regulatory Economics. He is also the author of numerous book chapters and monographs, and is the co-author of a comprehensive text, "Government and Business: The Economics of Antitrust and Regulation."